Nickers, brays, bleats, howls, and quacks. Now. 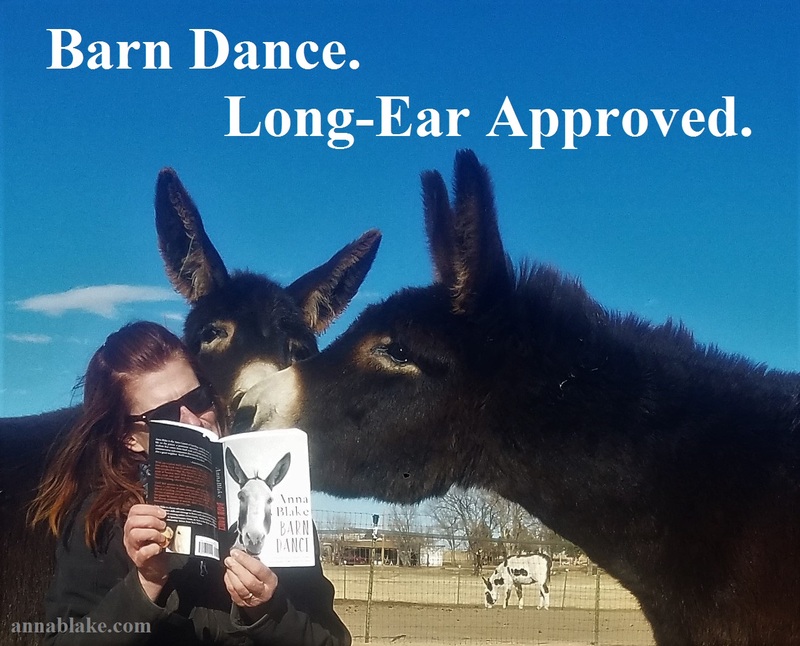 We are Long-Ear approved. A whole lot of books do not have this designation. Barn Dance has been available for a week, and the race is on. But it’s an endurance race and not a sprint; perfectly suited for a contrary herd like us. The start was a bit uneven in an attempt to answer readers asking for a holiday release. I let Amazon have a head start. They are bigger and stronger and didn’t need it. Independent bookstores are my love, and in order to have my books available there, I do a list of extra things. If you have a bookstore you love, you can get any of my books from them. Tell them Ingram has it; especially if you are located outside the U.S. In a day or two now, Barn Dance will be available from my personal favorite, Barnes and Noble. Support them when you can, but getting it there before the holidays is doubtful. And if you want to go old-school, you can still get a book from me, signed and with a sweet bookmark or two, by clicking here. There’s no extra charge for the Corgi hair that is bound to be included, as well. If you like my books, please consider telling a friend or writing a review. You, sitting there with your coffee, are my entire publicity plan. Here’s the crazy part: It’s working. Thank you. I’m so grateful for the precious time you spend reading. It would be painfully dark and quiet without you! And finally, to introduce my spokes-donkeys today, with Nickole in the photo: Ajax and Comet are here for some training. They are available for adoption through the Colorado Horse Rescue Network. And photos never lie. They are smart asses. I support that idea. Thank you, hope you like it. What a lovely photo. How can you possibly resist those long, hairy ears! (I don’t even try…) Thanks, Sophie.